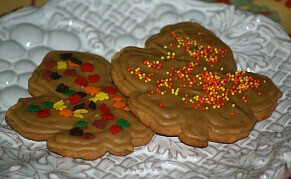 Today we have learned how to make cookies at home far beyond what use to fill the old time cookie jars. Even my mother would be shocked at the delicious cookie recipes which come from my kitchen. This is mostly due to the ever ending availability of supplies and ingredients at our fingertips. Cookies probably rank the highest of all Painless Cooking, which is why most of us start our cooking with making them first. 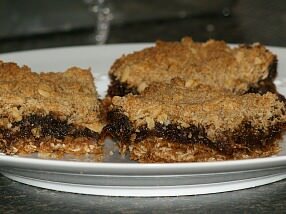 Consider chocolate as an example; chocolate chips at one time was a luxury to have in the kitchen. Now chocolate chips are now a staple in my kitchen pantry plus I also have different flavors of chocolate produced for many different uses. These cookie ingredients have turned knowing how to make cookies into a fun and appreciated hobby. From my early days of learning how to make cookies, I have only used all purpose flour in the recipes. Always use the standardized measuring cups and measuring spoons for the flour and any other dry ingredients. For cookie ingredients like flour, white sugar, baking soda, baking powder or salt, fill the measuring cup or spoon over the top and level off with the flat side of a knife. When recipes call for brown sugar also use the dry measuring cup, but pack it down and level off; when turning brown sugar out it should hold the shape of the cup. 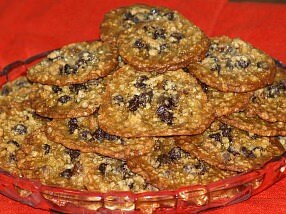 My favorite cookies for kids: peanut butter, oatmeal, drop sugar and chocolate chip. 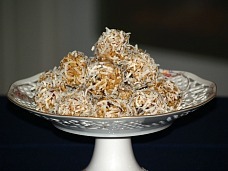 Rice Krispies treats are marshmallow bars, no bake peanut butter balls, date balls, drop cookies and coconut cookies. Bar cookies are much easier to bake because they are baked in a pan and then cut; much faster than baking separate cookies. 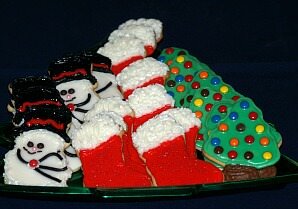 Sugar cookie recipe for cookie cutters are among my oldest favorites for all the holidays; decorate to fit the occasion. 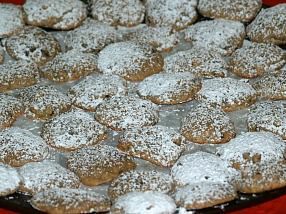 Make fabulous German Christmas cookie recipes: nutcracker cookies, lebkuchen bar cookies, sand tarts, dipped gingersnaps, cinnamon stars, Lebkuchen rounds, chocolate covered lebkuchen cookies, pfeffernusse cookies and springerle cookies. 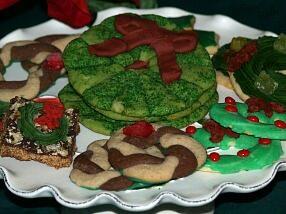 Christmas cookies should contain a selection of favorite ingredients and flavors; I try to contain a little of everything in my collection for the holidays. Make the best Christmas cookies from a cream cheese cutout recipe, from a simple sugar cookie recipes, reindeer cookies, chocolate dipped or make fabulous ornamental cookies. 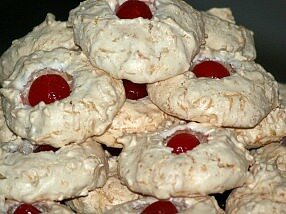 These easy cookies which I started my cooking career with when I was very young are still some of my favorites. 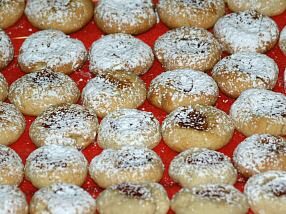 Easy thumbprint cookies are also among my holiday collection; topped with a variety of fillings, all are delicious. Best cookies to ship before you mail away your hard work only to have them delivered in crumbs. 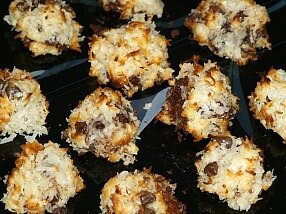 My favorite coconut cookies is a macaroon; they are so light and flavorful, you cannot eat just one. 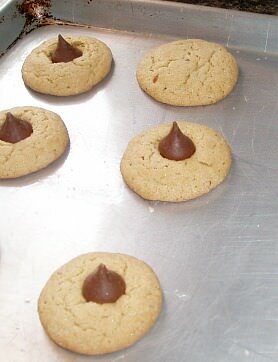 Chocolate kiss cookies were made famous by Hershey; this is especially delicious combined in a peanut butter cookie. 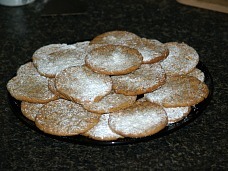 I love light spritz cookies for the holidays; when decorated these make a beautiful presentation on a platter. 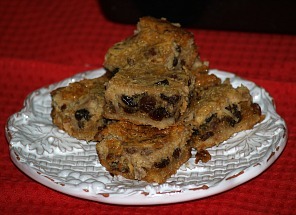 Yummy date bars has always been my favorite bar cookie; as a child I remember close family friends use to bake these in their bakery and they were so delicious. 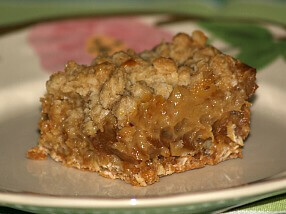 If you like pecan pie you will love this pecan tarts; a great page for “pecan lovers”. Ginger cookies have been a favorite recipe for decades; whether it is a soft iced ginger cookie or a rolled cookie, the flavor is unbeatable. 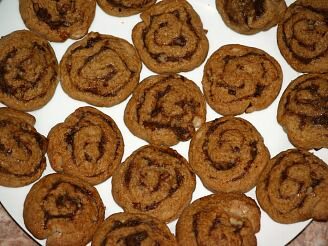 Date pinwheel cookies are one of my favorites for the holiday season; this includes Sister Gloria’s recipe which I have made for years. 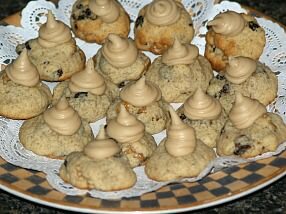 Tea cakes have always been among my recipes for Christmas; they have such good flavor but light so you can eat more. Cookies made with chocolate and caramel is like any other recipe where these two ingredients are combined; simply delicious. 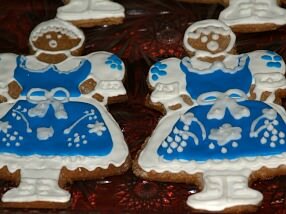 The gingerbread cookies dates way back and is the primary cookie recipe in many of the Old World countries. 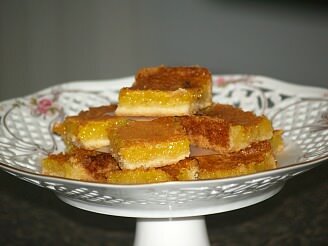 These lemon bars have always been among my Christmas collection; my baking would not be complete without it. 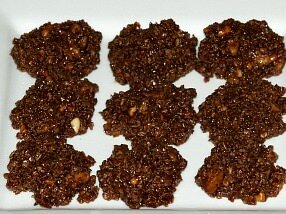 These no bake cookies are so easy and quick to make; not only that but it is delicious and a favorite for many. Raisin cookies are a necessity among holiday cookies or anytime. No matter what other ingredients are used they are always delicious. 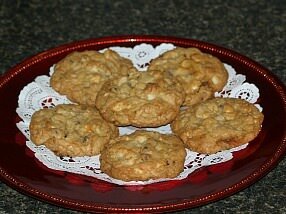 Macadamia nuts are delicious in cookies; find several great recipes here. 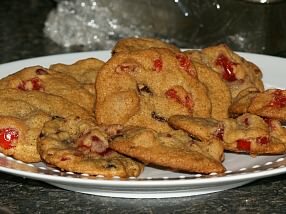 Baking cookies are usually the way most people get started in cooking; most are simple to make and have such a good taste. Make the best meringue cookies; macaroons or French Macarons. Learn how to make the best lady fingers. 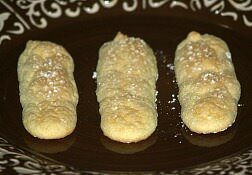 Lady fingers make great cookies on their own but are used in many dessert recipes. Make yummy sandwich cookies recipes: lemon filled spice, cocoa, pecan maple, peanut butter and jelly, sandwich cremes, lace, and raspberry. 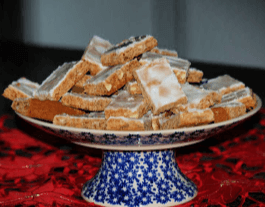 These fig bars recipes are a favorite of my mom’s; if she did not make fig bars but occasionally she would buy them from the grocery or the bakery. 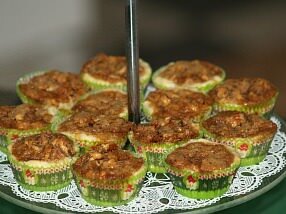 Make the best zucchini cookie recipes: one recipe with pineapple, one as cheesecake bars, one with whole wheat, wheat germ and a spicy zucchini cookie. Make beautiful Christmas wreath cookies. 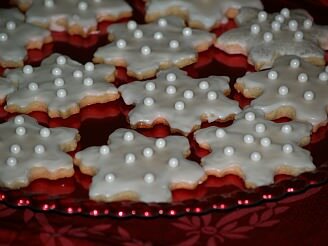 These can be made from sugar cookies other recipes. 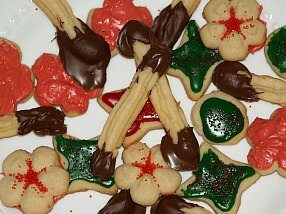 Use a cookie press, cutter or pastry bag. Make yummy chocolate and vanilla wreaths with dough ropes twisted together. Learn how to make delicious pineapple cookies. Try a recipe with sour cream, a filled cookie recipe, a pineapple coconut cookie, pina colada crumb bars, pineapple brownies, pineapple fruit bars, pineapple thumbprints, tropical cookies and a quick drop cookie recipe. 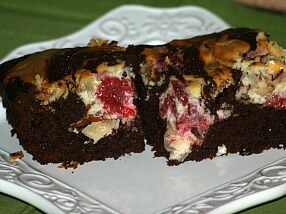 Learn how to make the best brownie recipes. Prepare a brownies mix to keep on hand for quick brownies. Make a simple brownie recipes, a fudge brownie, a Hershey's chocolate syrup recipe, a rich brownie, brownies made with potatoes, make the ultimate brownies, chocolate chunk brownies and Bailey's Irish Cream brownie recipe. Make delicious peanut butter cookies. Try making jumbo peanut butter apple cookies, chocolate peanut butter toffee cookies, peanut butter blossoms, butterscotch peanut butter squares, chocolate peanut butter cookies, chocolate dipped peanut butter logs, peanut butter cut out cookies, double peanut butter cookies, chocolate peanut butter cup cookies, peanut butter pinwheels, hearty peanut butter cookies and an old fashioned peanut butter cookie recipe. Make a delicious shortbread cookie recipes. 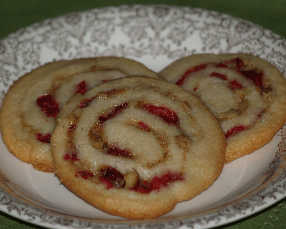 Try a recipe for Swedish raspberry shortbread cookies, the millionaire recipe, one with rosemary, an easy shortbread, spiced, topped with chocolate, coffee shortbread, chocolate dipped, lemon, English, chocolate dipped and a Scottish shortbread recipe. Make delicious slice cookies. Make a basic slice cookies with many variation for flavors and shapes. Try a recipe for pecan spice shortbread, French butter cookies, coconut chocolate pecan crisps, cranberry nut swirls and black walnut butter wafers. Make yummy cookies for fall! 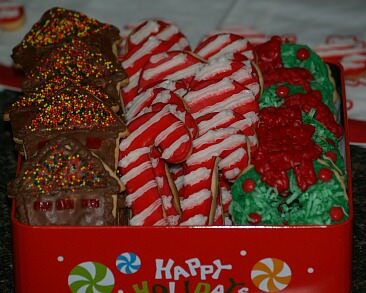 Try a recipe for sugar cookie leaves, caramel nut acorn cookies, an easy cookie candy turkeys, gingerbread reindeer, cranberry pumpkin cookies, black walnut sugar cookies, caramel apple bites, lemon glazed applesauce cookies, frosted pumpkin cookies and maple creams. 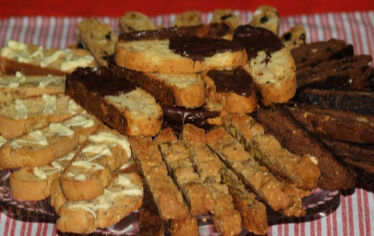 Learn how to make biscotti recipes: fruitcake biscotti, sesame biscotti, chocolate biscotti, anise biscotti, macadamia dried cherry biscotti, coconut macadamia biscotti, double chocolate chunk biscotti, pistachio biscotti, maple nut biscotti and double almond biscotti. 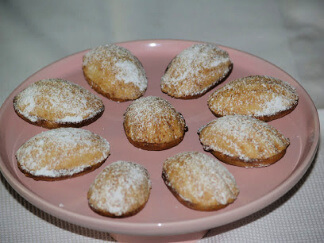 Learn how to make Madeleine cookies. There are many recipe variations: Madeleines with lemon peel, almond rice, French Madeleines, cinnamon with apricot filling, bear paws, chocolate shells, peanut butter filled bear paws and banana spice. 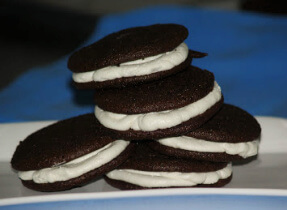 Learn how to make whoopie pies! Delicious whoopie pie recipes for the following: chocolate whoopie pies, pumpkin whoopie pies, oatmeal whoopie pies, whoopie pies with cocoa, sour cream cashew cakes, jumbo crunchy sandwich cookies and orange whoopie pies. When learning how to make cookies follow the recipe. Unless the recipe instructs otherwise use white granulated sugar. 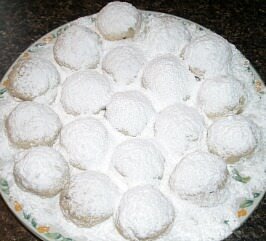 A fine granulated sugar will cream more but also change the texture of the cookies making it a finer texture. 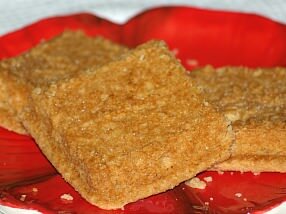 Brown sugar is listed in many cookie recipes and it gives a delicious caramel taste. Although this is good in some recipes, it is not good in all. If you try to substitute brown sugar for the white granulated sugar in the recipe you must be prepared also for a change in the flavor of the cookies. 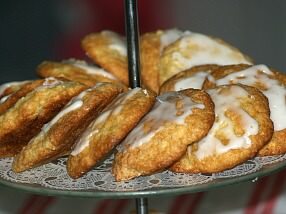 Powdered sugar is used in some recipes and with very good results; I love the sugar cookies that I make with powdered sugar. However, I would not suggest replacing granulated sugar with powdered sugar because it will change the texture of the cookies. This is important when you learn how to make cookies. When you have learned how to make cookies and become experienced at it, you will gain a preference as to what shortening you choose to use in yours. Personally, I prefer a good quality butter. Margarine or solid shortening changes the texture of the cookies; often making them puffier and crispier. This is a matter of your personal preference. What wins me over is in the flavor; using a good quality butter always gives a more delicious flavor. I have done tests using butter and margarine in the same recipe with people who tell me they love using margarine. When they do not know which cookies they are eating they always choose the cookies made with butter as having the best flavor. 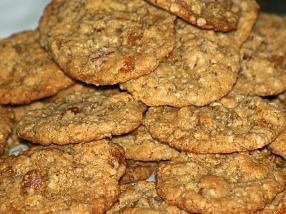 Sometimes cookie recipes will call for the addition of liquids; it could be milk water or juice. Try to follow the recipe because there is usually a reason why something is in a recipe. Milk makes a richer cookie but cookies made with water are more moist and have a tendency to last longer. If cream is replaced for the milk, you should consider that cream has more fat than milk. Perhaps the fat in the recipe should be adjusted for the fat in the cream. If evaporated milk is used in place of whole milk, mix half evaporated with half water. If juice is called for in the recipe it is for flavor and texture; it is best to substitute one flavor of juice for another flavor rather than substituting milk for the juice. A couple more cookie hints to keep in mind when you are learning how to make cookies is about using eggs and chocolate when learning how to make cookies. Most cookie recipes will list using large eggs; if you have small eggs and the recipe needs a few eggs, you will need to add extra in order to get the desired volume. If your recipe calls for chocolate and you want to substitute cocoa powder for one ounce chocolate substitute 4 level tablespoons cocoa powder plus ½ tablespoon melted butter. It is best to bake cookies on cookie sheets when learning how to make cookies. Because they are opened on three sides the circulation of the heat is more even. This makes the cookies brown better and it is easier to remove the cookies when they are done. All of my cookie trays have a very low ridge around all sides and I never have a problem with my cookies. However, if you have only pans with higher sides on all sides (This will interfere with the baking), I suggest that you turn the pans upside down and bake the cookies on the bottoms. 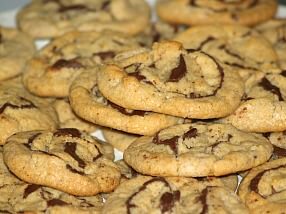 For most cookies pans should be lightly greased, but not if the cookies contain a large proportion of shortening; recipes will instruct you usually. It is best to bake only one tray of cookies at a time in the oven especially when you are just learning how to make cookies. Place the try in the center of the shelf and in the center rack of the oven. Placing a tray on the bottom rack will case the bottoms of the cookies to burn. Keep in mind that there are variables which affect the baking time of cookies. 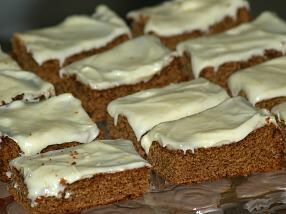 Different materials which the pans are made from reflect the heat differently causing a difference in the baking time. Your oven plays a big part in how to make cookies; is it gas, electric or convection oven. It is best to watch the baking process carefully for the first batch that you put in the oven. After baking, remove the cookies from the pans. I usually wait about 1 minute and then remove them. If you wait longer the cookies continue to bake on the hot pans this is a tip learned when you know how to make cookies. Arrange all needed equipment conveniently. If melted chocolate is in recipe place over hot water to melt. Prepare cookie sheets. If cookies contain a large proportion of shortening, do not grease the cookie sheets. For all other cookies lightly grease the sheets with a solid white shortening. 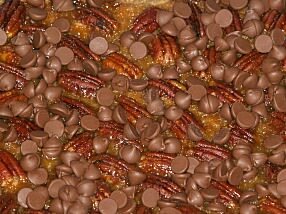 If making cookie bars, lightly grease pan, line with wax paper and grease again. 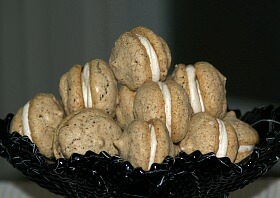 Macaroon cookies are baked on a heavy brown baking paper. Sift the flour and measure immediately leveling cup with a flat knife. Refrain from shaking or tapping the cup which causes the flour to pack down. Measure other dry ingredients in the recipe and sift together with the flour. If fruits and nuts are to be used in the recipe measure and prepare. Measure liquids in a liquid measuring cup to the desired line. Set cup on a level surface and check with your eye at the level of cup to make sure it is accurate. Have shortenings at room temperature to measure. Pack in dry measuring cups and level off with a flat knife. When using cooking oils measure in a liquid measuring cup to desired measuring line. Cream shortening in a bowl. This is done by whipping until it is soft and fluffy. Never melt the shortening unless instructed to do so. This will change the texture and flavor of the cookies. Sugar is measured in dry measuring cups and leveled the same as flour but does not need to be sifted. Brown sugar is always measured in dry measuring cups but PACKED before leveling. Add sugar to creamed shortening and beat after each addition. The mixture will have a light and fluffy appearance when thoroughly creamed. Flavoring extracts are added and blended to the creamed mixture before adding flour mixture. Unless otherwise instructed eggs are beaten in with the shortening and sugar. Fruits and nuts are added last.